Graduation is an exciting time. 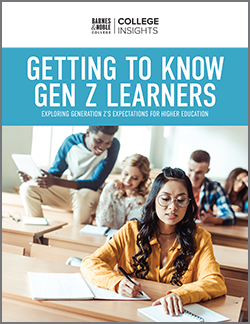 It’s the culmination of a student’s academic career, but it can also feel overwhelming to students who are also preparing for mid-term exams and thinking about that first real job. 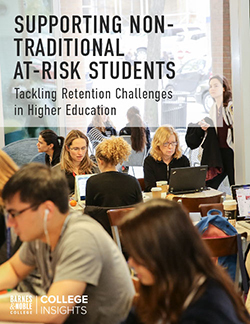 The campus bookstore is in a unique position to provide valuable information to graduating students, simplify the graduation process, and help students celebrate their exceptional achievement. This spring, Barnes & Noble College campus bookstores across the country held Grad Fairs, where students could pick up their graduation regalia; register to participate in graduation; purchase graduation gifts; speak with class ring, diploma frame and announcement representatives; and in some cases, speak with the alumni association. 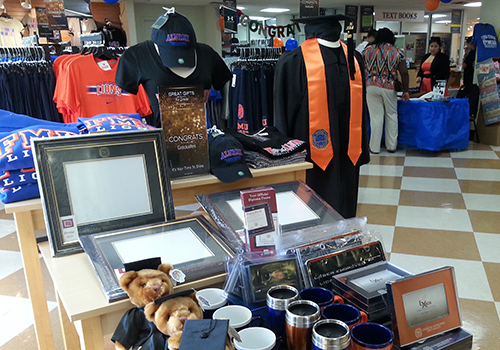 The Grad Fair at the Florida Memorial University Bookstore. 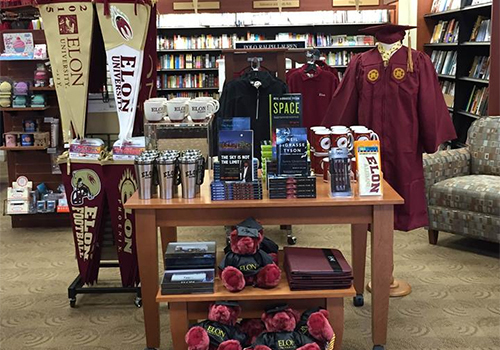 Elon University Bookstore saw 1,002 students come through the store to pick up their caps and gowns. Tulane University Bookstore employee Kanika Gould reaches for regalia as students pick up their ceremonial attire. 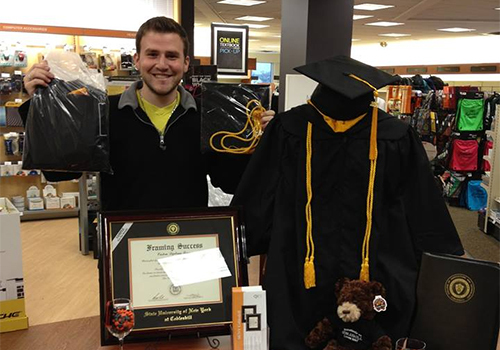 A SUNY Cobleskill student picks up his graduation regalia at the Grad Fair, held in the campus bookstore. 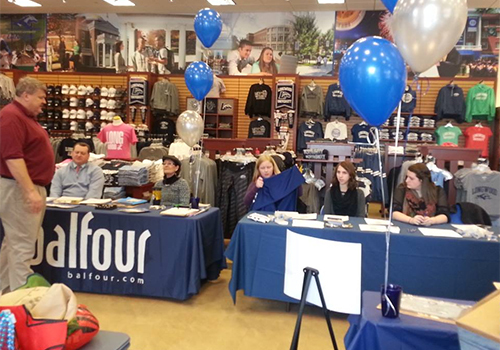 Longwood University, located in Farmville, VA, held their Grad Fair in the campus bookstore, which allowed students to pickup for their cap, gown, hood, tassel, and diploma frame. Class ring and announcement representatives from Balfour particpated in the fair. 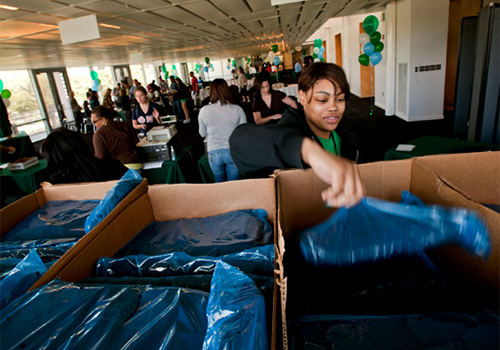 The Senior class gave away prizes and Alumni Relations and Career Center answered questions for the prospective grads. 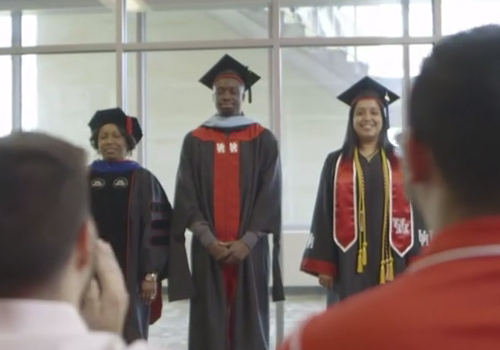 Barnes & Noble at University of Houston bookstore employees model the customized graduation regalia at the Grad Fair. 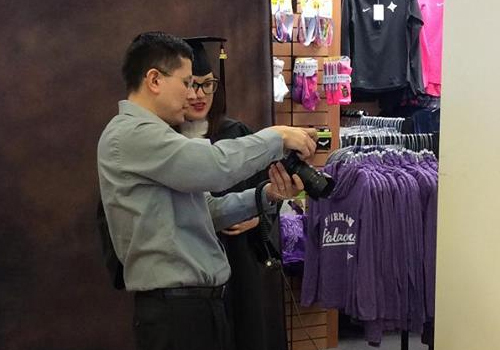 Students at Furman University in Greenville, South Carolina, could have their graduation portrait taken at the campus bookstore’s Grad Fair. 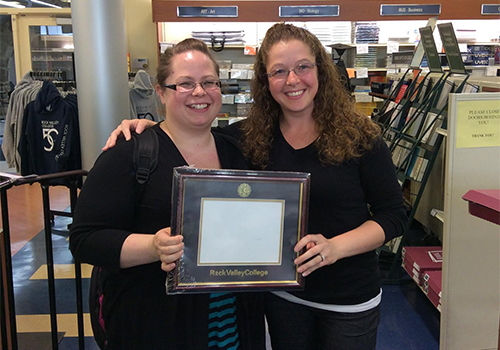 Rock Valley College senior Amanda Martinez (with friend Karen Kersey) was the winner of the RVC Diploma Frame from its Grad Fair. Rock Valley College is located in Rockford, IL. 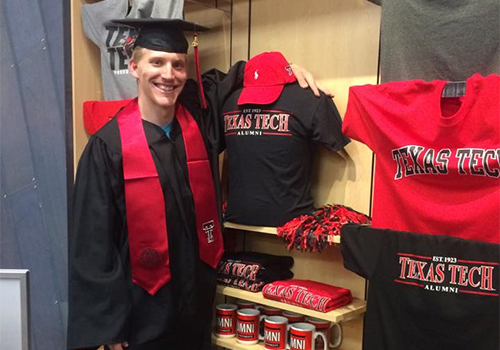 A Texas Tech University student models the graduation cap and gown at the Grad Fair, held at the Texas Tech Bookstore. 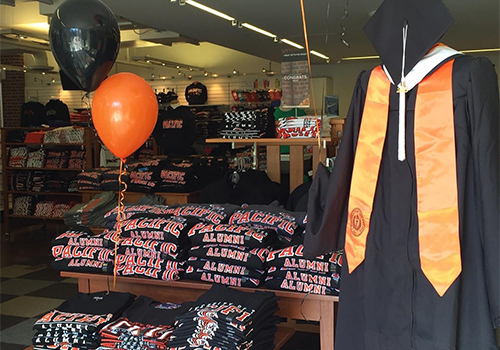 The University of the Pacific, located in Stockton, CA, held it’s Grad Fair at the campus bookstore.